Hard Stop: Along The Wall — . 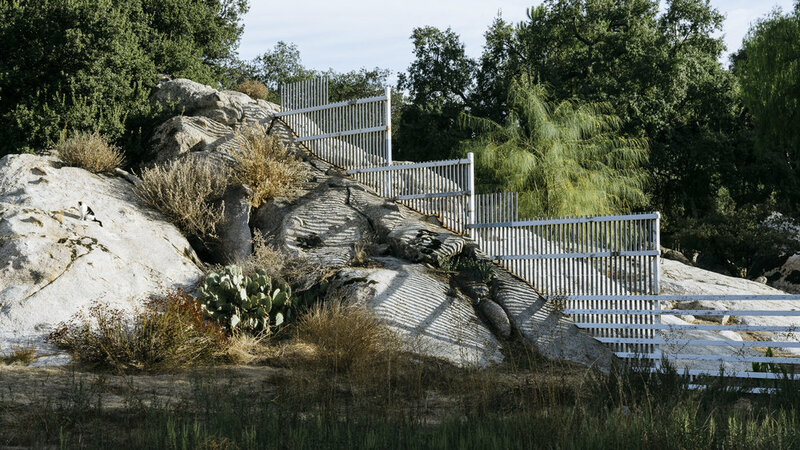 Border fence between the United Mexican States and the United States of America in Campo, California. 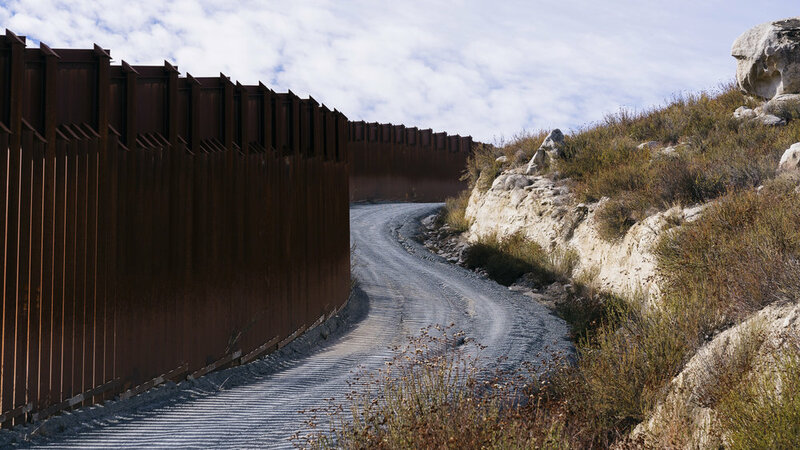 There are nearly 700 miles of border fence already built along the 1,954 mile border between the two countries. A United States Border Patrol Agent rides a 4x4 along the San Diego - Tijuana border. There are 20,000 Border Patrol Agents, in 2017 Trump promised to hire an additional 5,000 Border Patrol Agents and 10,000 ICE Agents. .
Protest graffiti along the San Diego - Tijuana border wall. 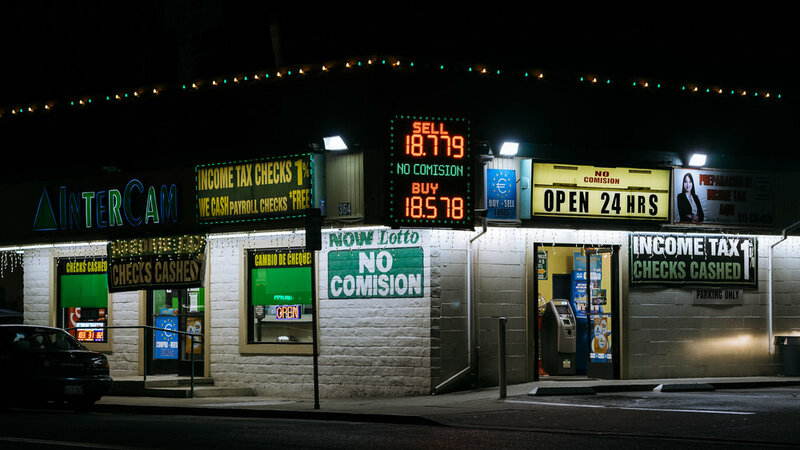 24 hour currency exchange and predatory financial services are available within walking distance of the San Ysidro Port of Entry. 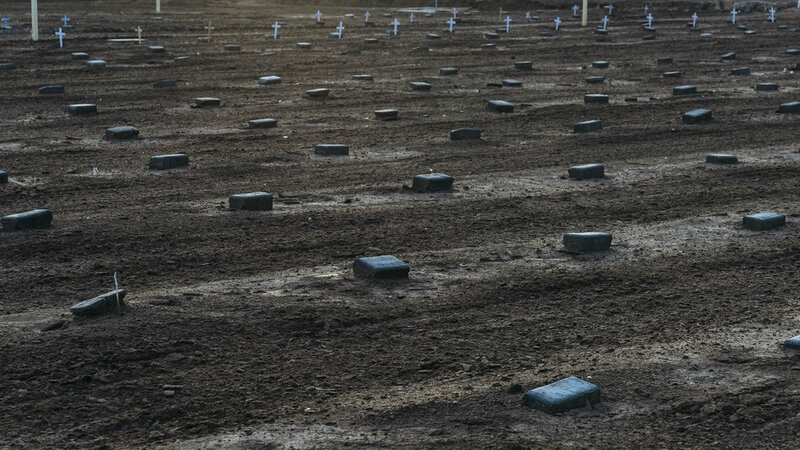 Cement burial caskets await migrants whose remains are not repatriated to their home countries in Holtville, California. The All American Canal is America’s deadliest body of water. 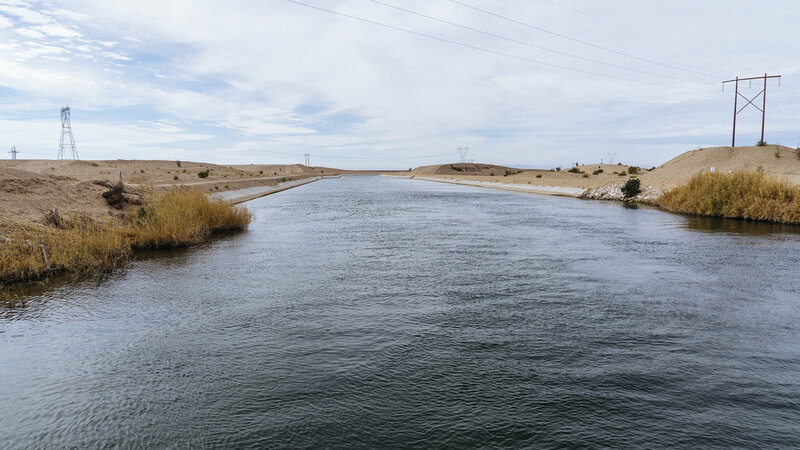 The largest irrigation canal in the world, it serves as an effective moat for migrants as it runs alongside the border wall in Calexico, California. Home fencing in Potrero, California. 4 miles from the Tecate Port of Entry. 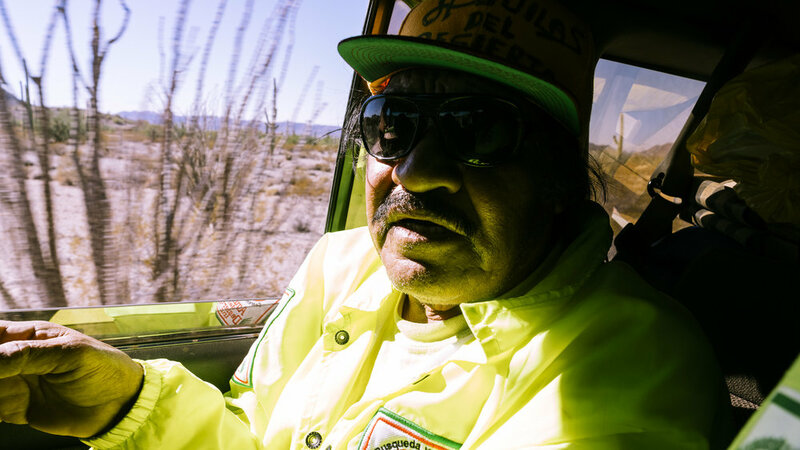 Eli Leon, a Mexican construction worker who lives in Reseda, California on the way to the Sonoran Desert with Aguilas Del Desierto, an immigrant to migrant search and rescue organization. They search on weekends for deceased and lost migrants attempting to cross into America. There are over 500 simply marked graves for deceased migrants in a dirt lot behind the Terrace Park Cemetery in Holtville, California. Most read Jane or John Doe. 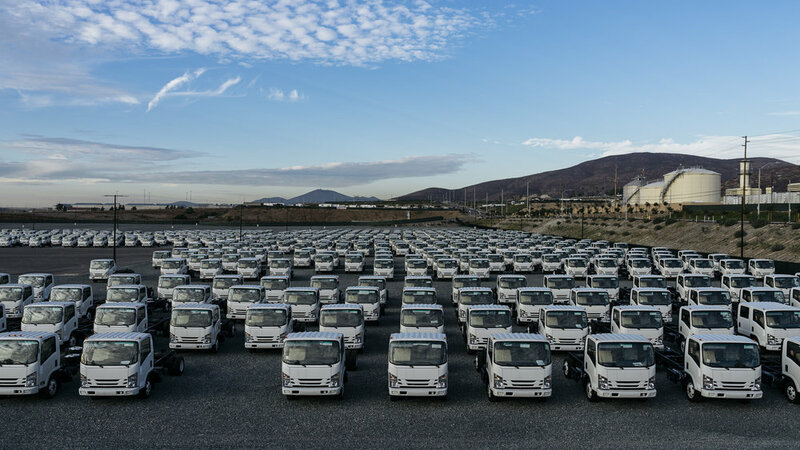 New truck components await transport in Otay Mesa, California. Legal two-way trade between the United States and Mexico amounts to more than $1 billion a day. 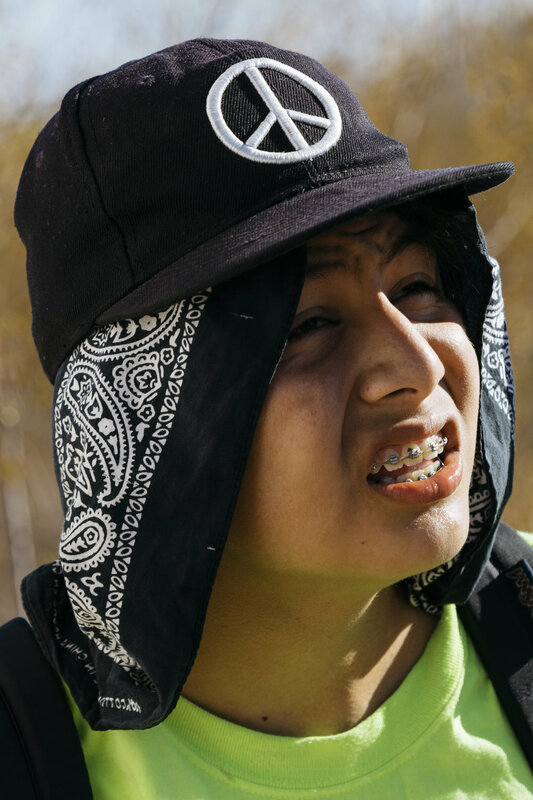 Jamie Martinez, 14, of San Diego, in the Sonora desert after a long morning of searching for deceased and lost migrants with the aid organization Aguilas Del Desierto. United States Border Patrol took 20,455 unaccompanied minors into custody in 2016. Discarded camouflage bootie made from carpet used to conceal the tracks of migrants and smugglers in the Sonoran Desert. Imperial Regional Detention Facility in Calexico, California, is an ICE facility operated and owned by the private prison contractor CoreCivic (formerly Corrections Corporation of America).CCA's revenues in 2015 were $1.79bn. Canadian tourists at ‘The Official Center of the World’ a roadside attraction in Felicity, California, less than 5 miles away from the Andrade Port of Entry. 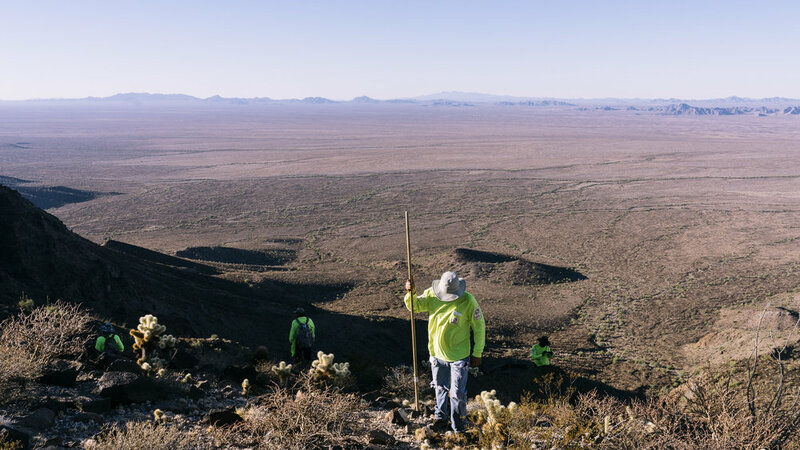 Members of Aguilas Del Desierto crest a hill in the Cabeza Prieta National Wildlife Refuge outside of Ajo, Arizona. 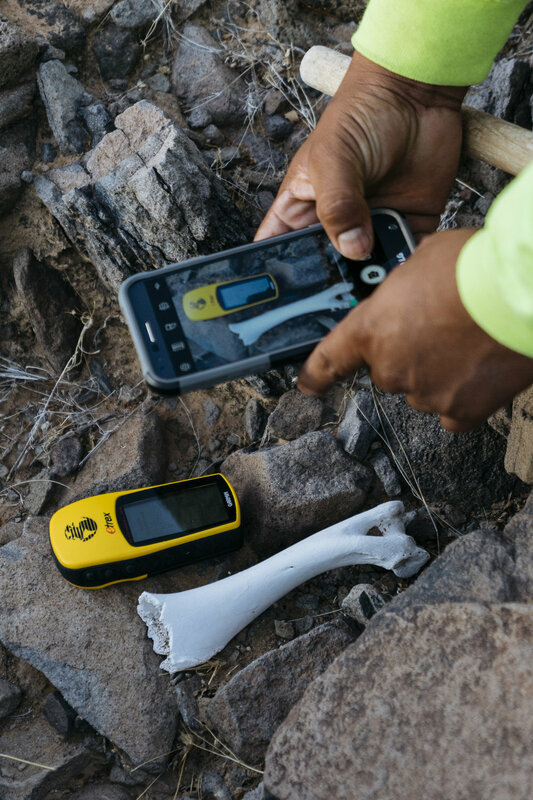 For migrants crossing into the United States through this Sonoran Desert route the journey often takes 7-10 days with a guide and costs 2-5 thousand USD. Maro Martinez, a volunteer with Aguilas Del Desierto, descends a wash in the Cabeza Prieta National Wildlife Refuge. Summer temperatures in this part of the Sonoran Desert can reach 120°F. 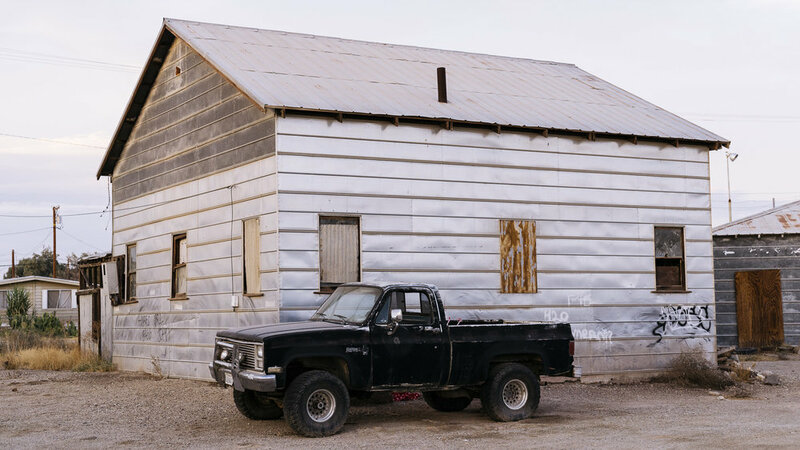 A truck parked outside an abandoned home in Niland, California. 40 miles from the Calexico Port of Entry. A shuttered Inn on Campo Road in Dulzura, California. 7 miles from the border wall. 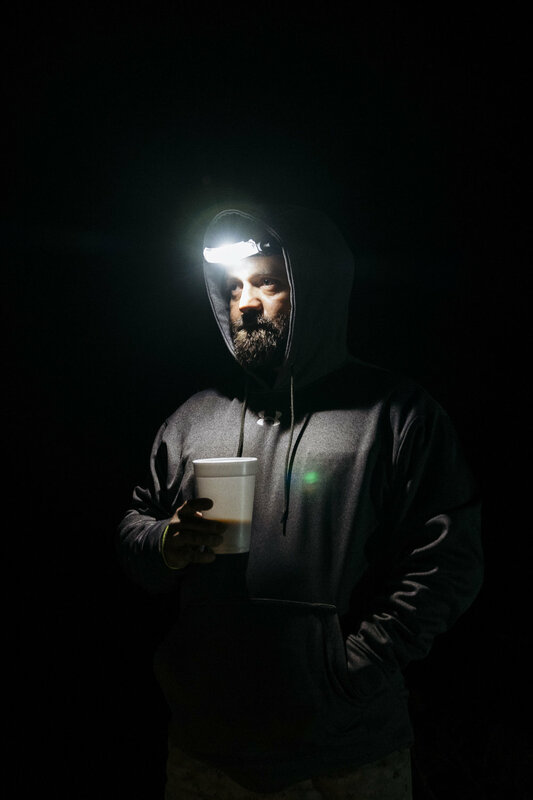 Aristotle Barbosa, a Marine Veteran, prepares at 4 AM for a day of searching the Sonoran Desert for deceased and lost migrants with Aguilas Del Desierto. “The landscape reminds me of Iraq, minus the cactus,” says Barbosa, who saw three deployments there. 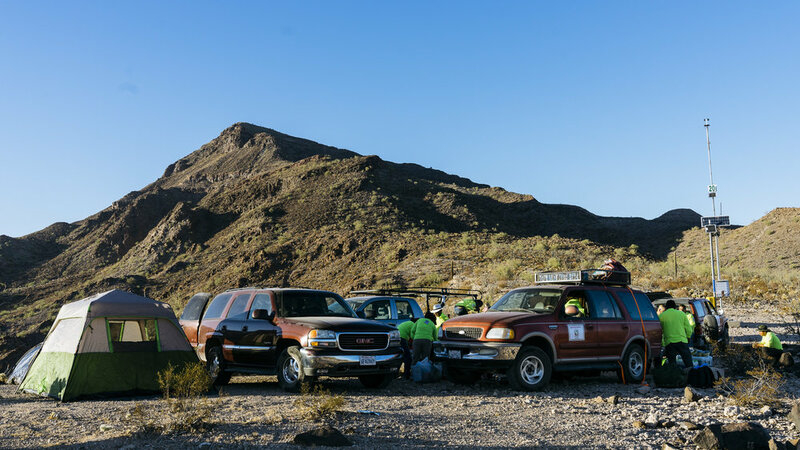 Aguilas Del Desierto camp setup at the end of Charlie Bell Road in the Cabeza Prieta National Wildlife Refuge. The Refuge ecompasses nearly 860,000 acres of desert. 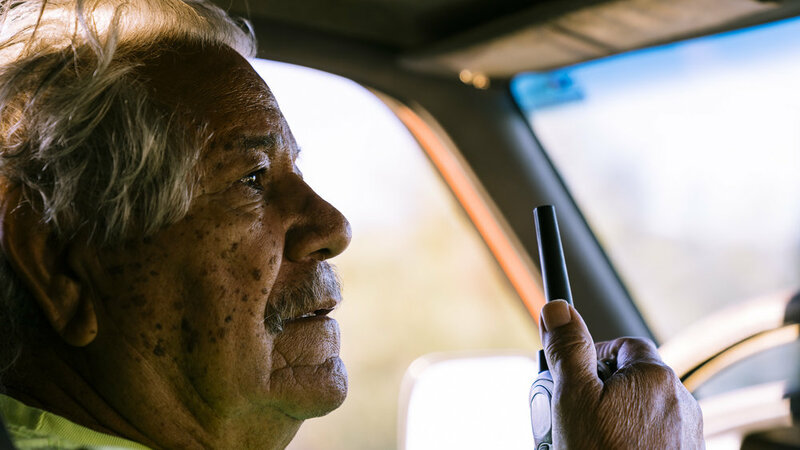 Vicente Rodriguez communicates with his team by radio while driving a 4x4 into the desert carrying supplies and volunteers for Aguilas Del Desierto. He has been involved in immigrant to migrants search and rescue efforts since 2009. 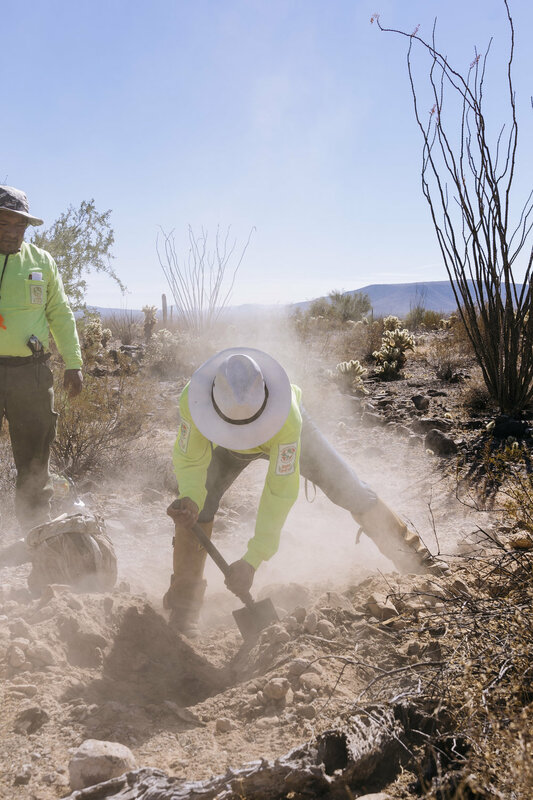 Members of Aguilas Del Desierto dig in the Sonoran Desert where they suspect the body of a migrant has been buried in a shallow grave. Most migrants who die crossing this treacherous desert have been left behind by the their guides and quickly succumb to dehydration. 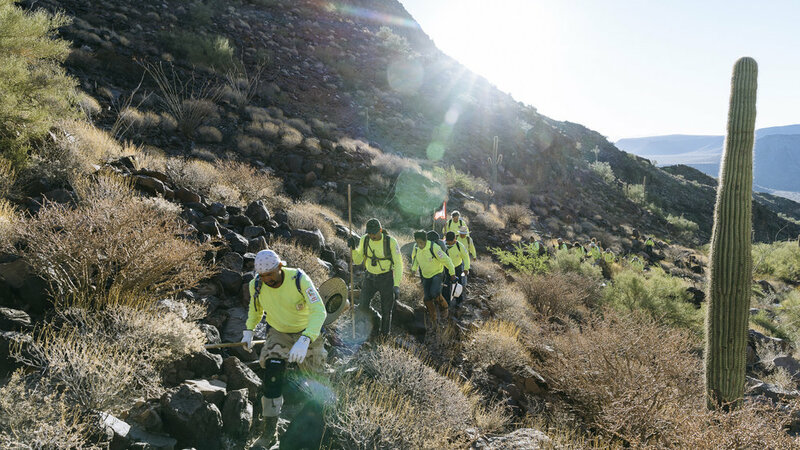 Volunteers from Aguilas Del Desierto scour a mountain peak above the Barry M. Goldwater Air Force Range. Passage through the active firing range, where pilots practice air-to-ground bombing, rocket delivery, and strafing, is the final gauntlet for migrants before reaching Interstate 8, where their guides will have arranged a vehicle pickup. 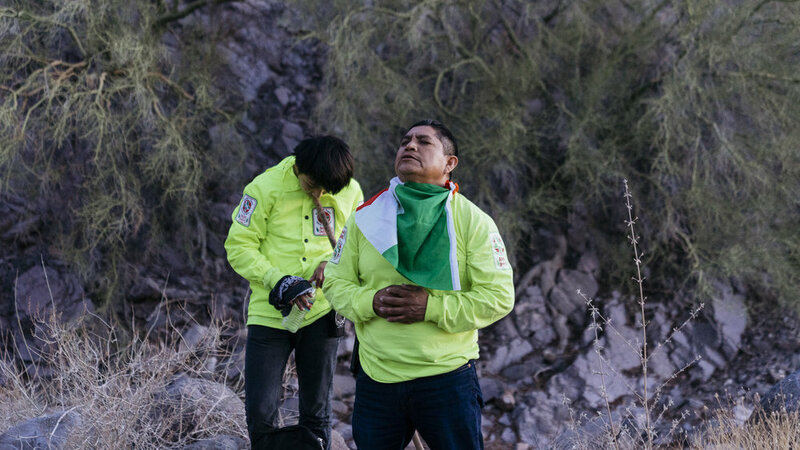 Angel Martinez (center) and 14 year old Jamie Martinez pray for their safety and the safe passage of all migrants in transit before beginning a sunrise to sunset desert search for lost and deceased migrants.